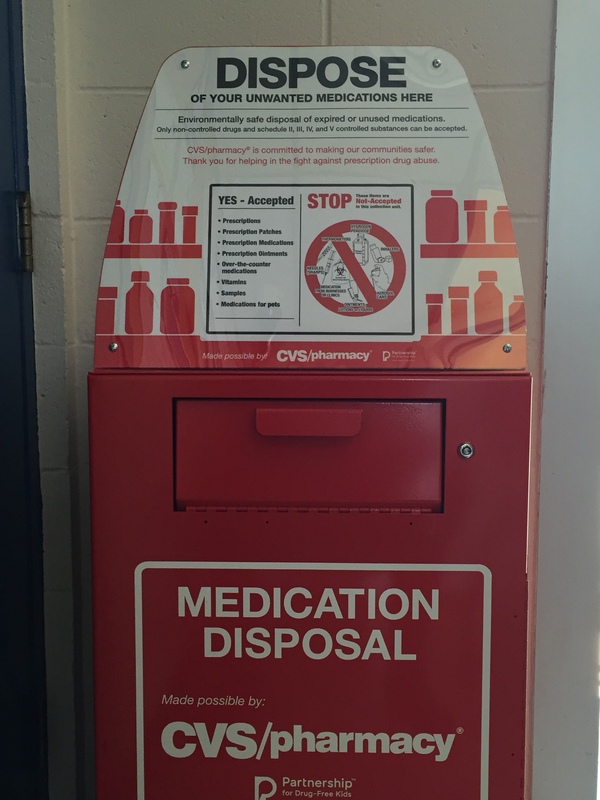 The Rehoboth Police Department has been awarded a grant from CVS/pharmacy to combat drug abuse by installing a drug collection unit. The new unit will provide residents with a safe and environmentally responsible way to dispose of unwanted or expired medication, including controlled substances. The unit will be located inside the police station lobby at 334 Anawan St. and is open 24/7. Drugs can be dropped off with no questions asked. Learn more about the CVS/pharmacy Medication Disposal for Safer Communities at www.cvs.com/safercommunities. Please note the restrictions in the photo below.